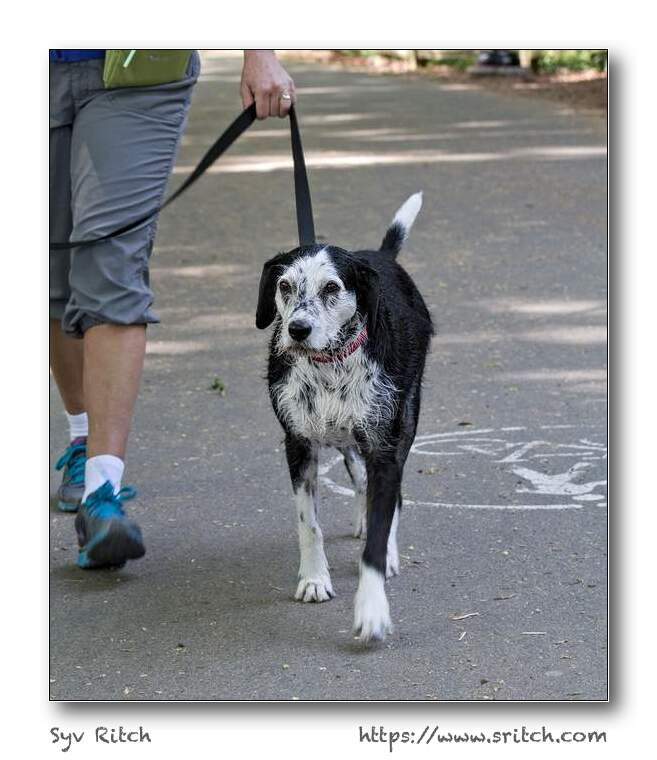 Most often when people walk with their dogs, they walk in sync, this means that if the person’s left foot is forward, the dog’s left front leg will be forward. This only works when the dog is walking with the owner, like in this photo. This almost never works when the dogs are on ‘those fishing lines’, that’s the leashes that extend and retract. Then the dog doesn’t walk with the person, the person just tries to control where the dog goes, but most often fail. The main reason why I do not like the ‘fishing line’ leash is that most of the bond between the person and the dog happens on the walk. That bond doesn’t happen with the ‘fishing line’ leash because the walk doesn’t happen. Then it’s not a walk, instead it’s a fight between the person and the dog on who controls the leash.